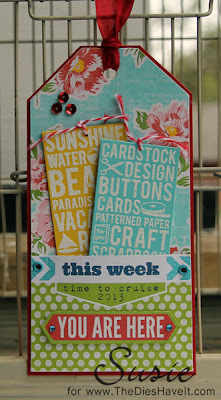 I am on a week long scrapbooking cruise! This is a tag I made for a swap that takes place today on the ship. to celebrate all the fun I'm having. Then I'll switch back to Christmas and there I'll stay until the big day!